BREAKING NEWS: Gardai have sealed off a derelict house on the outskirts of Killygordon after reports that there may be explosives inside. It is believed there was a fire in the house at Ballinacor earlier today. 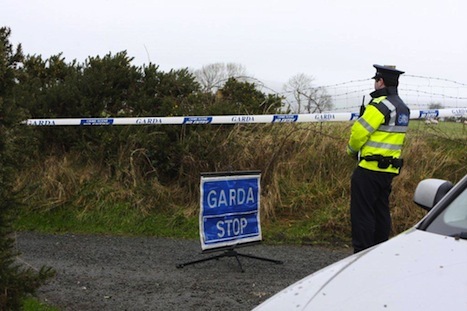 However Gardai subsequently received a report that there may be some type of explosive substance contained in the house. The house is close to the Setanta Hurling Club near The Cross. Donegal’s Acting Chief Fire Officer Bobby McMenamin confirmed both Gardai and Fire Services were at the scene. “There has been a report that there is an explosive substance in the house but we are still trying to determine that. “Both the Gardai and the Fire Services are at the scene. “The area has been sealed off but there are no reports of any injuries at this stage,” he said. A spokesman for the Garda Press office said they are treating the fire as suspicious and have sealed off the entrance to the house. Locals have said an electrical fault may have caused the fire to the old farmhouse.